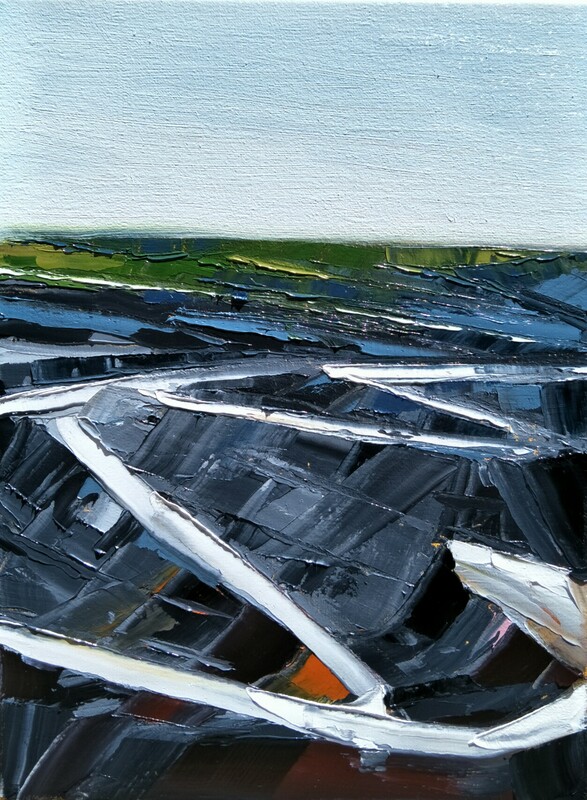 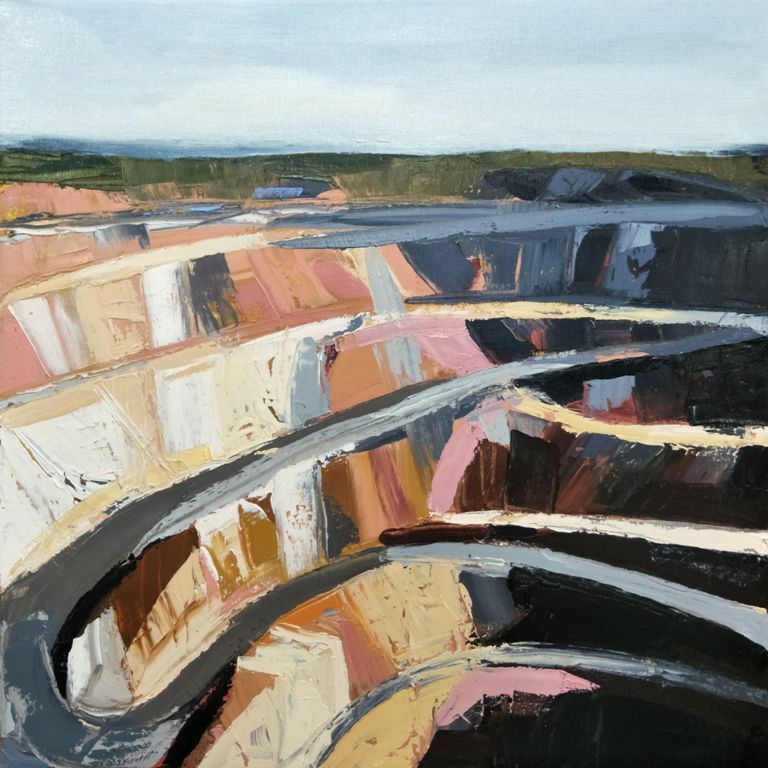 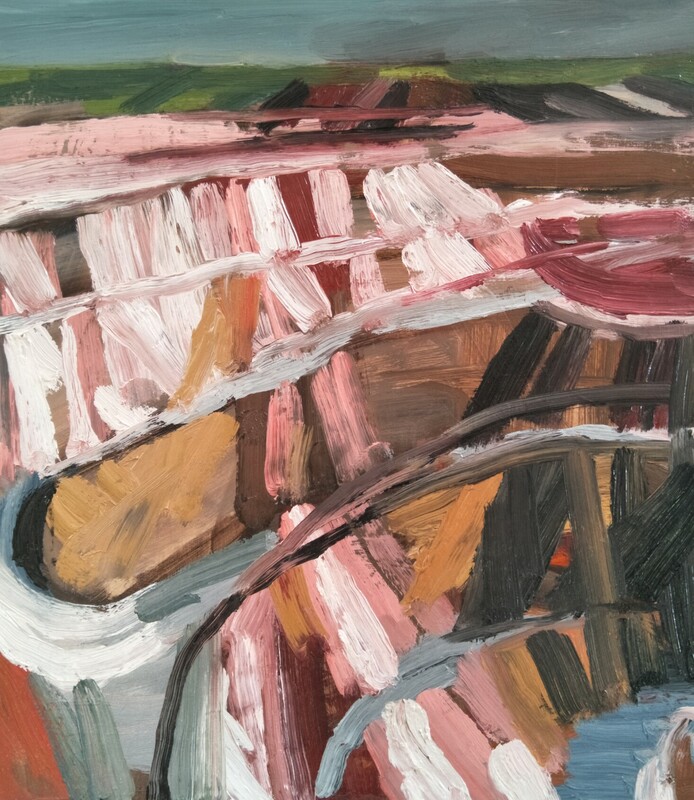 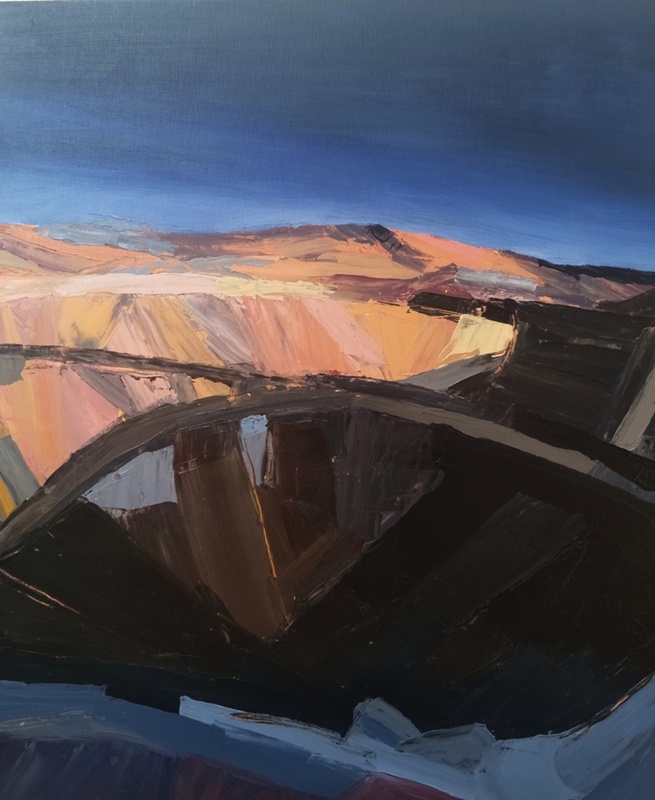 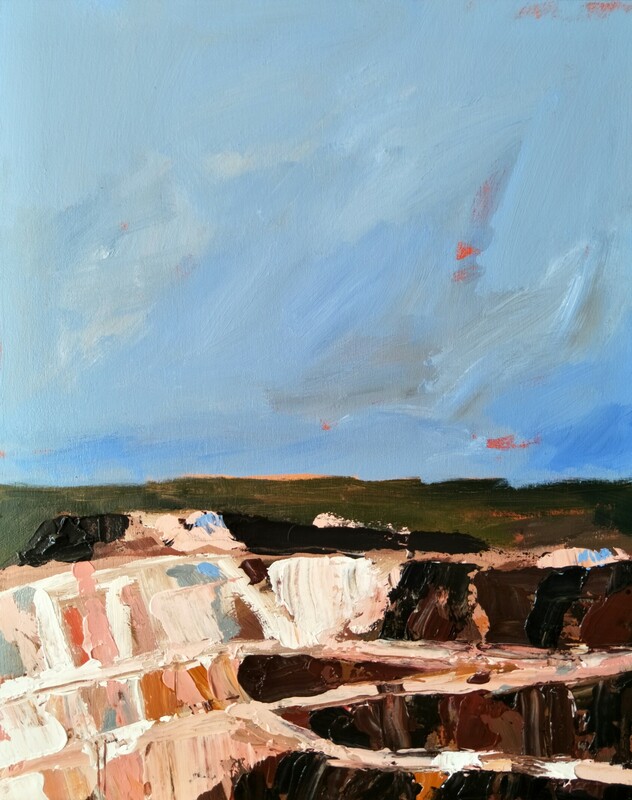 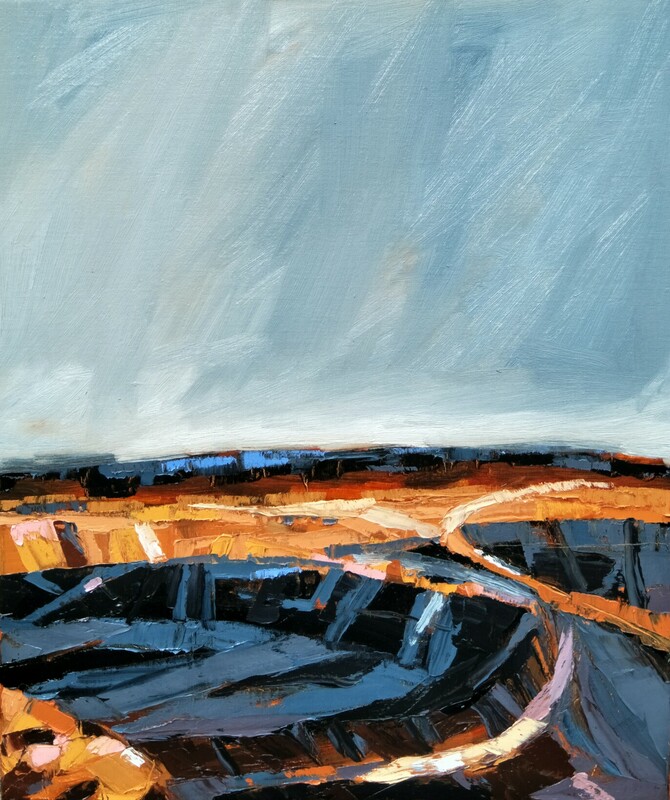 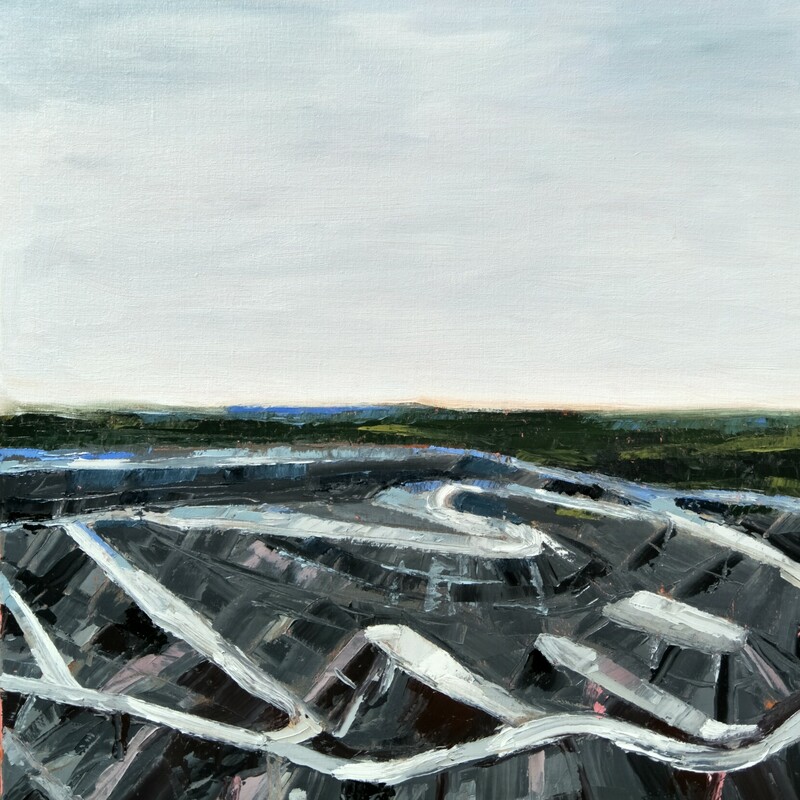 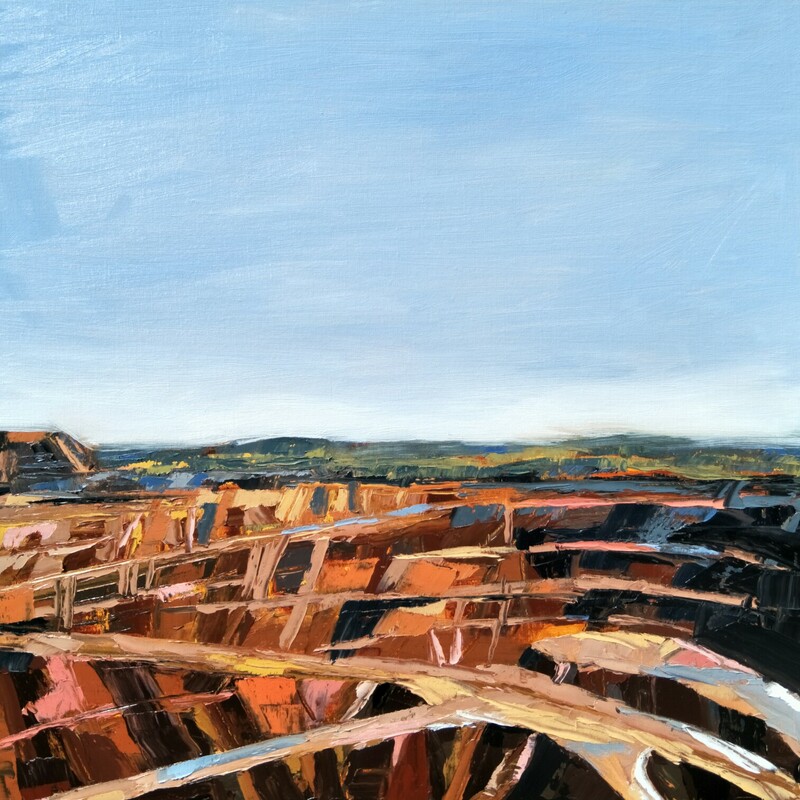 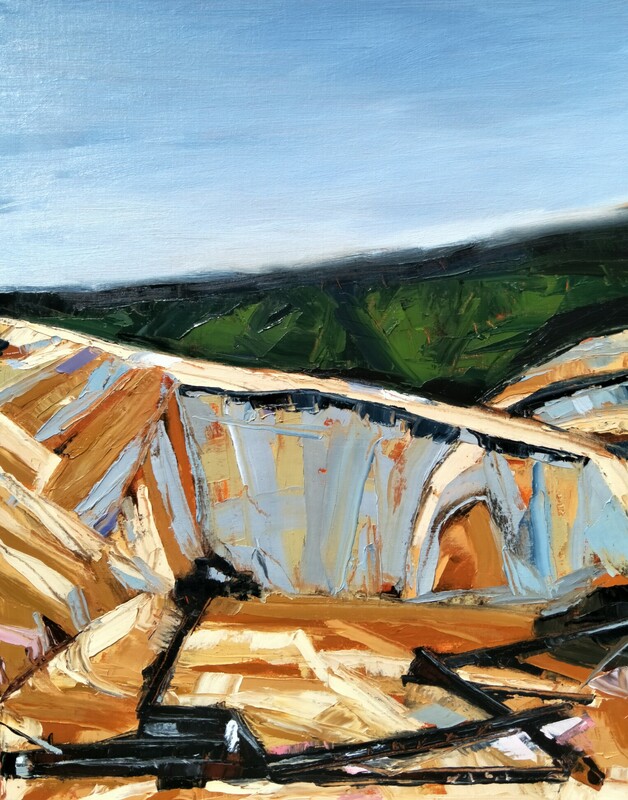 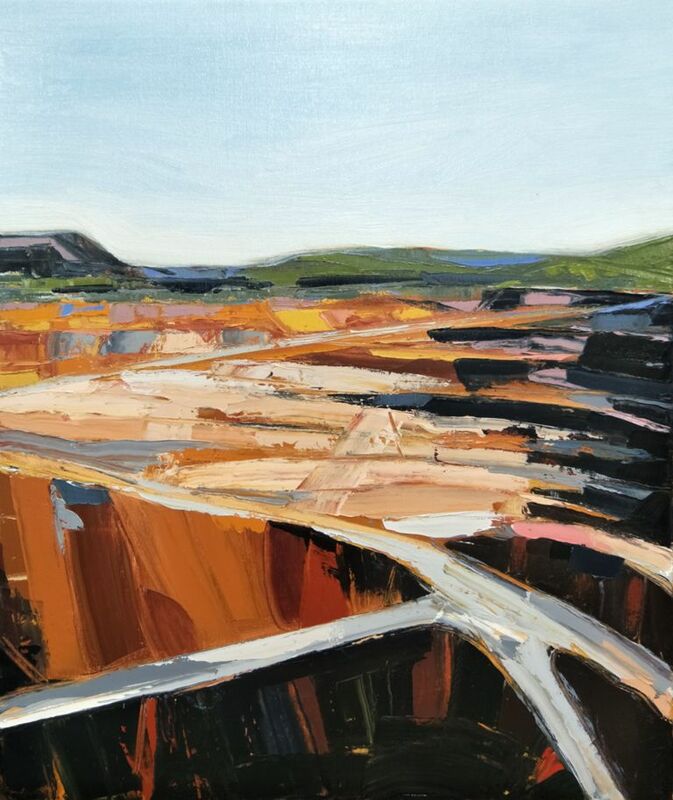 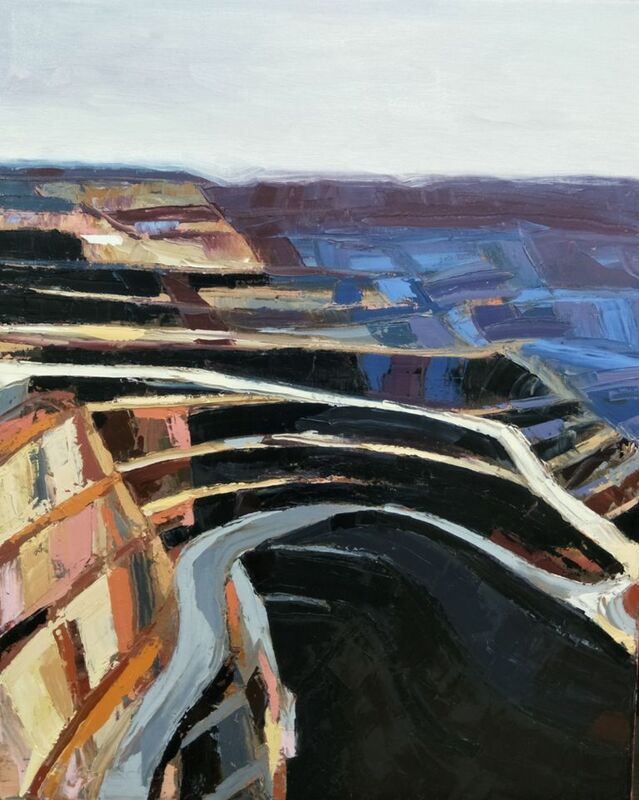 ‘The marks we’ve made’ is a series of paintings exploring my fascination with the destructive and yet undeniable aesthetic qualities of mining landscapes. 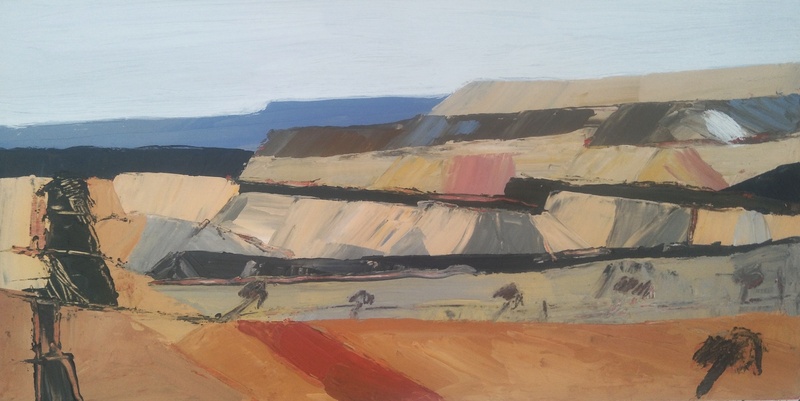 Growing up in Newcastle, I watched tonnes of coal pass on long trains to ships constantly waiting on the horizon, and later saw the epic open cut mines in person on trips in regional NSW. 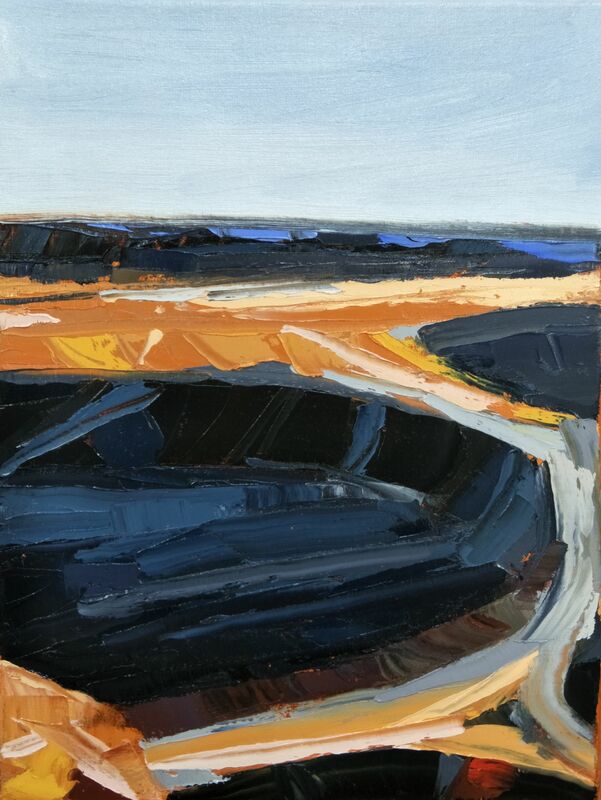 I felt conflicted viewing these vast fissures: intellectually I saw them in the context of climate change and sustainability as a finite resource causing global damage, yet physically I was mesmerised by their scale, colour and drama. 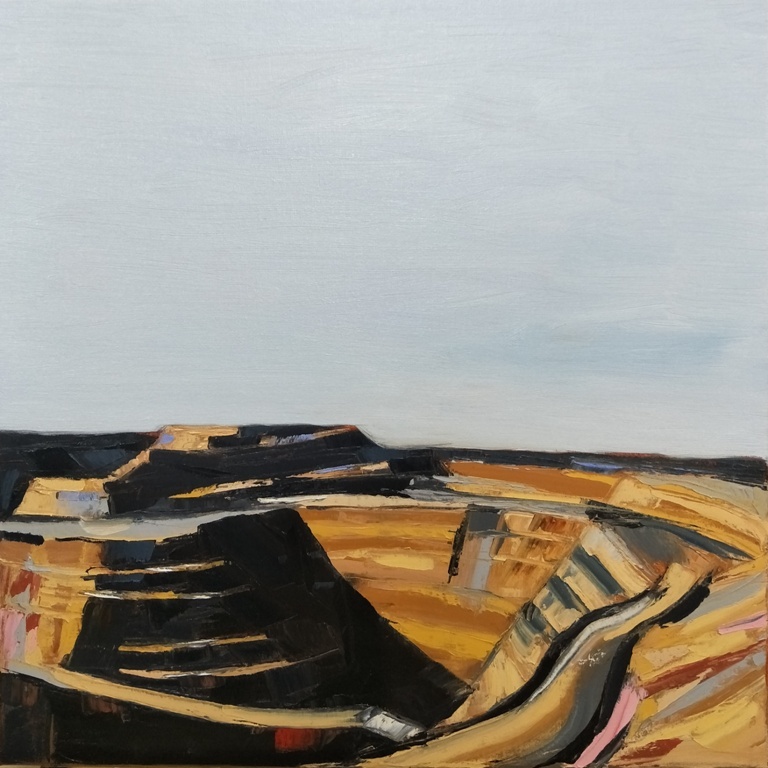 I tried to see more of these man-made wounds in the earth, however it was difficult – tree facades and well-placed mounds blocked most view points, and I was too fearful or timid to jump the fences. 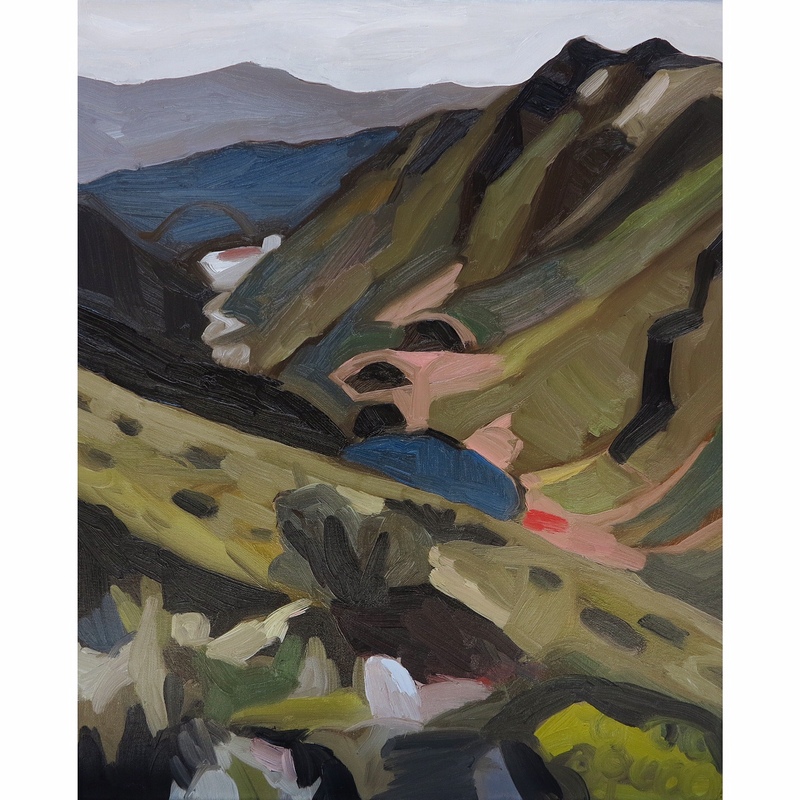 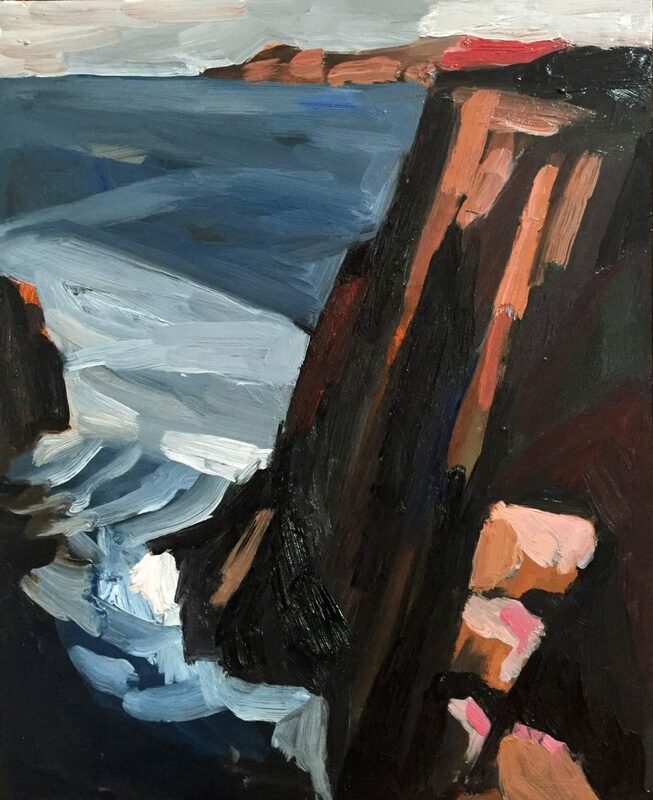 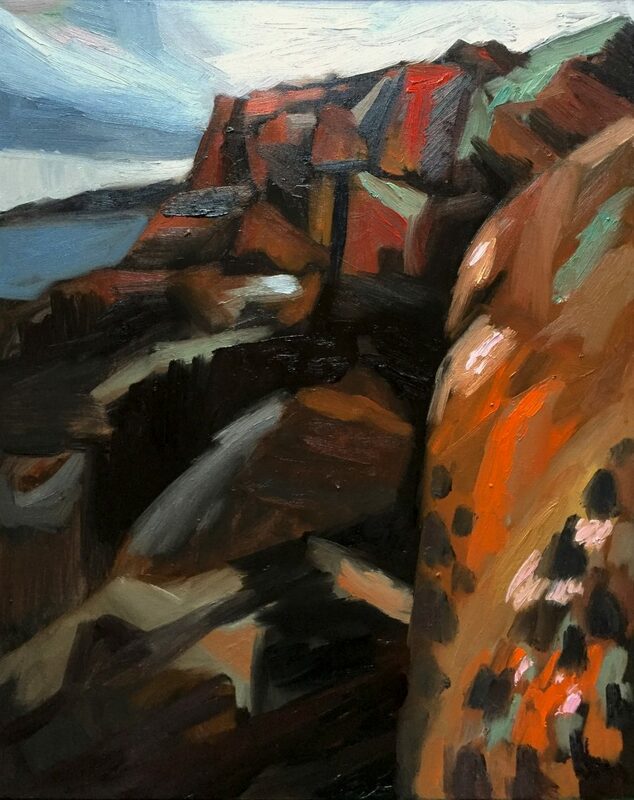 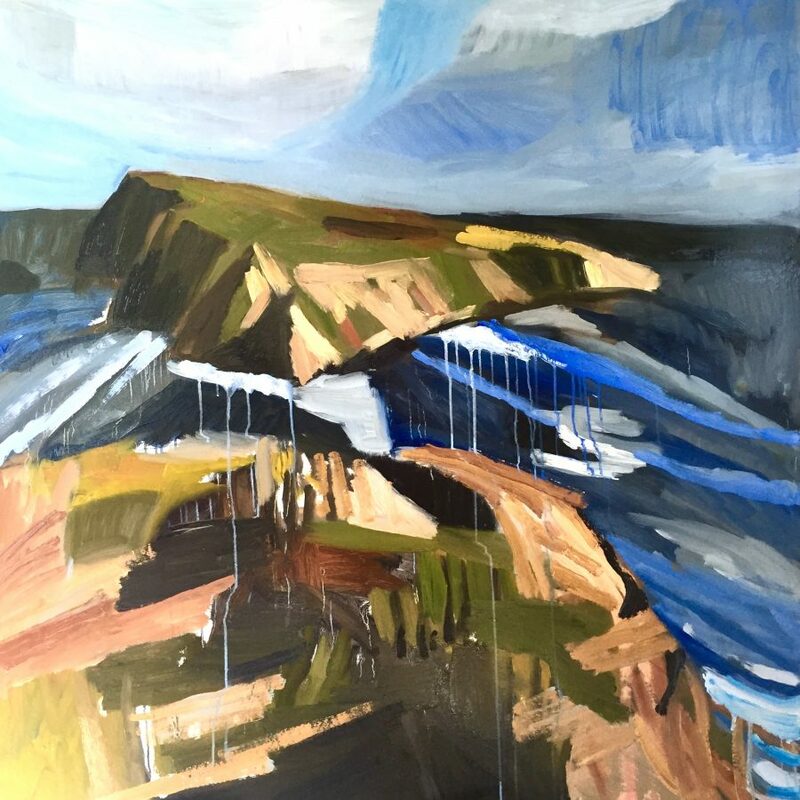 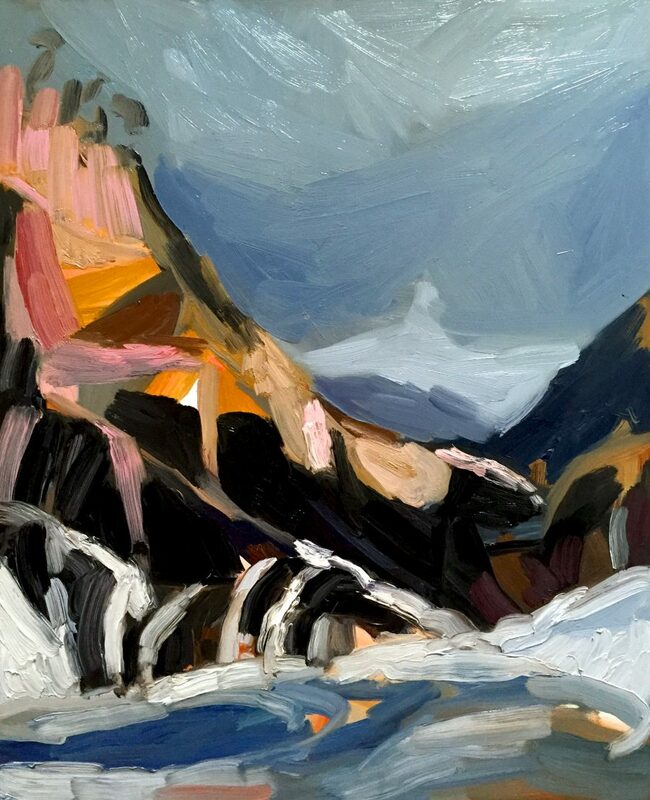 So working form sketches and photographs I interrogated these landscapes in my studio, studying the faceted forms, stepped platforms and steep cliffs closely. 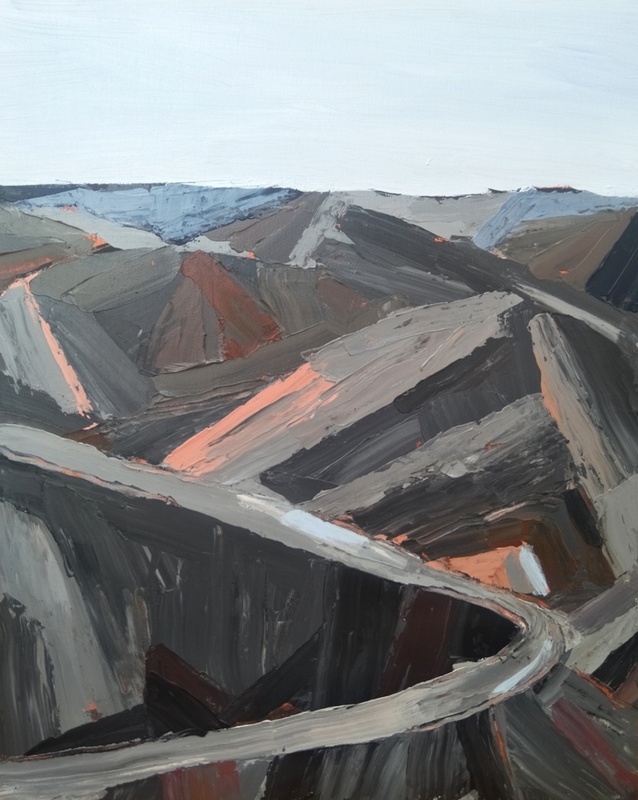 I wanted to present images that evoked those responses in viewers, and highlight just how much we change the land we stand on for the price of energy and progress. 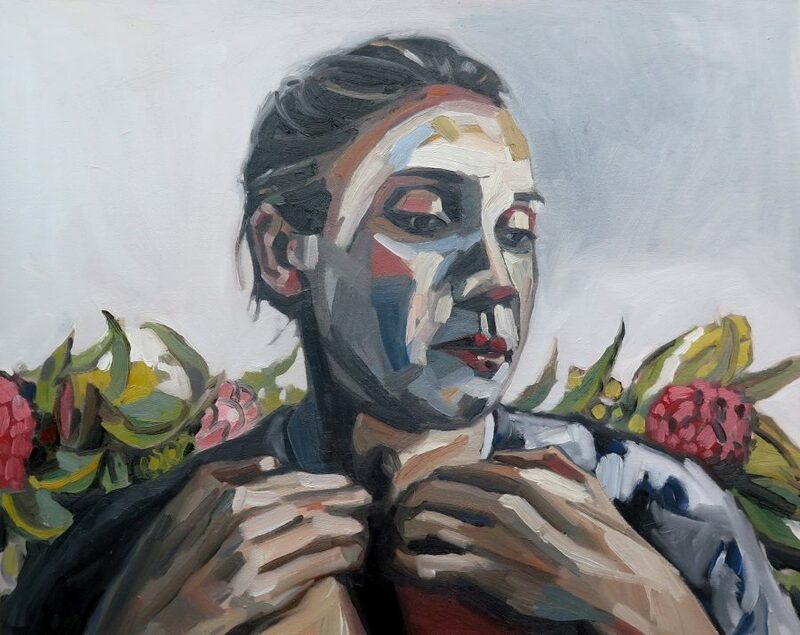 Nick Ferguson is an artist based near Sydney, Australia. 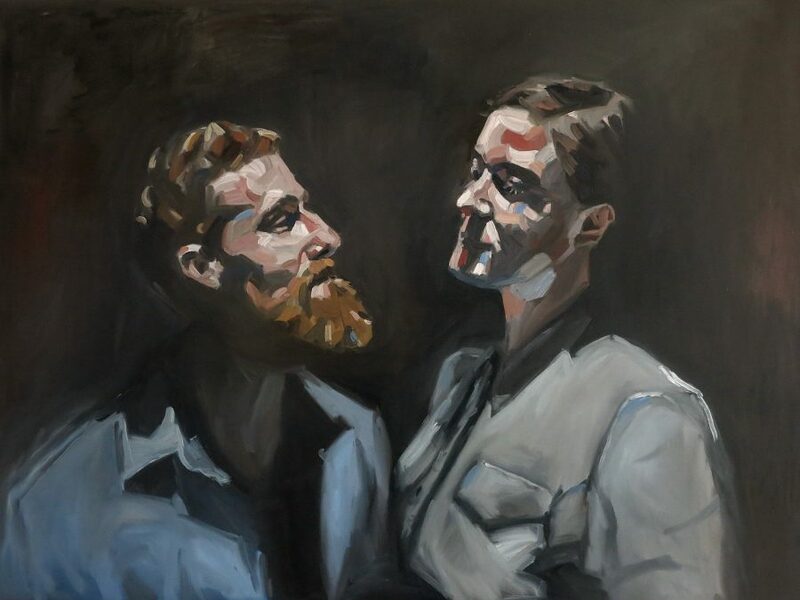 Since 2013 he has participated in multiple group exhibitions nationally and several successful solo exhibitions. 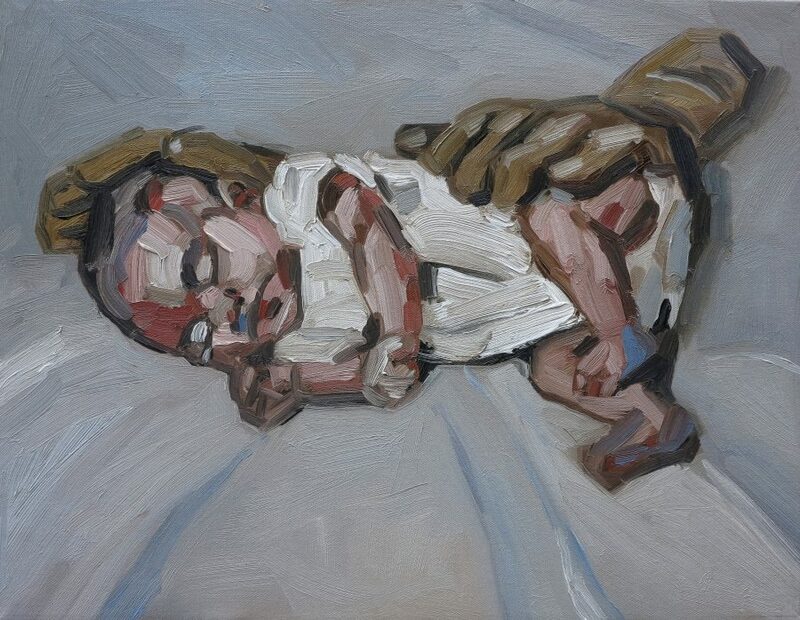 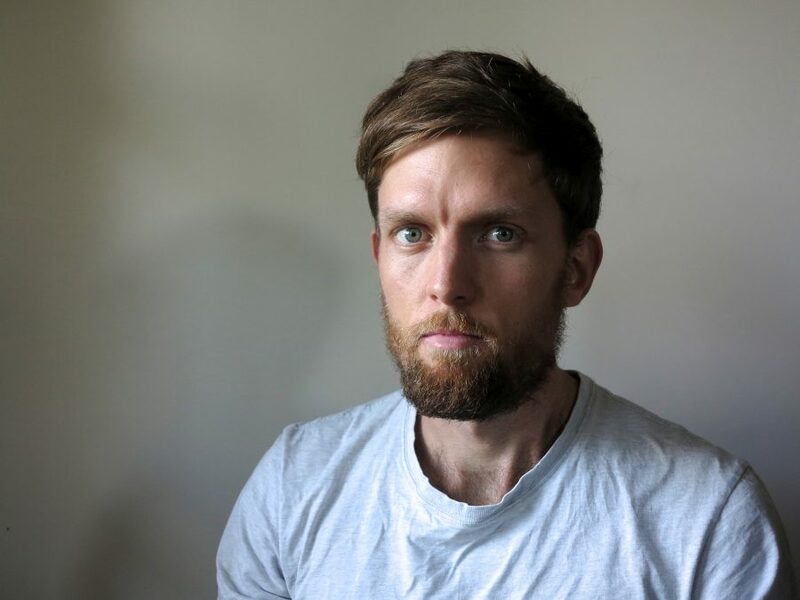 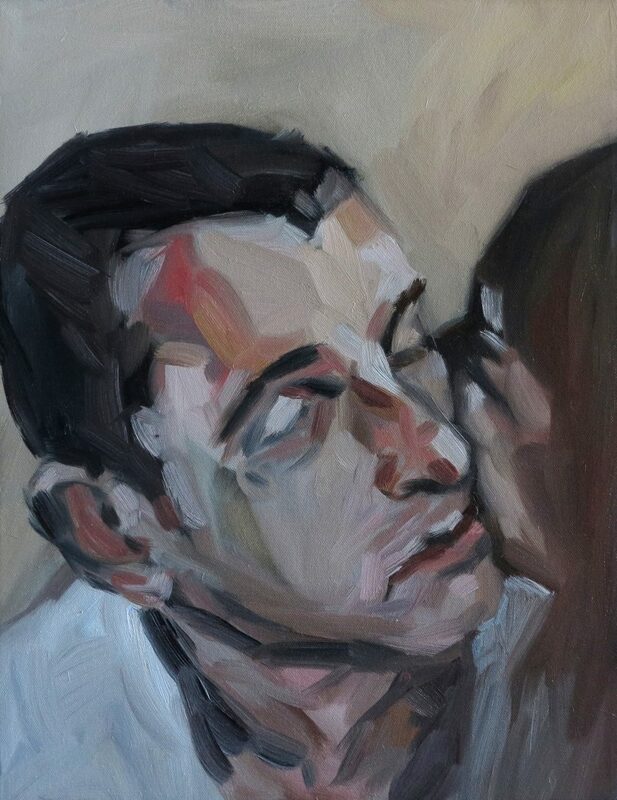 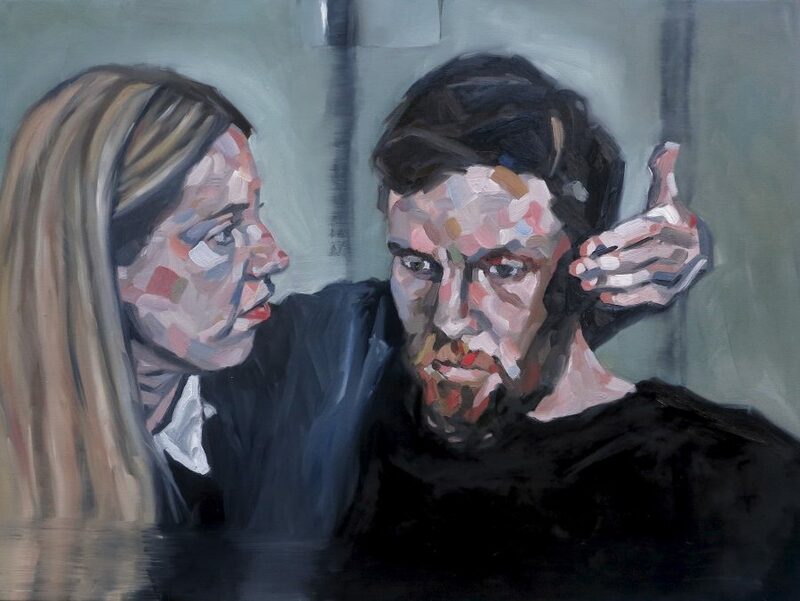 He has been a finalist in over 20 Australian painting and drawing prizes, including the Paddington Art Prize, Kogarah Art Prize and Shirley Hannan National Portrait prize. 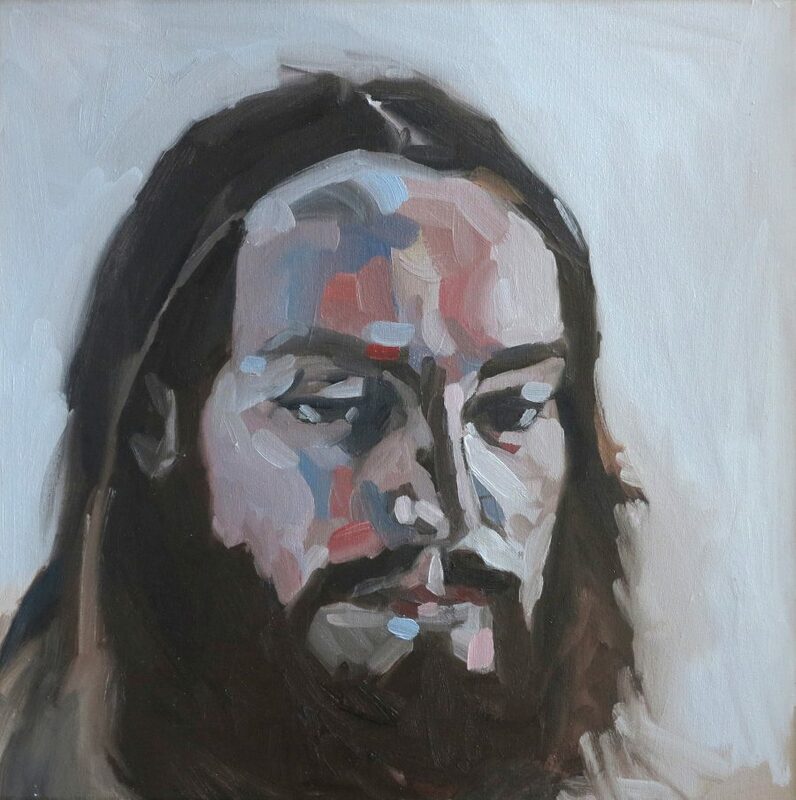 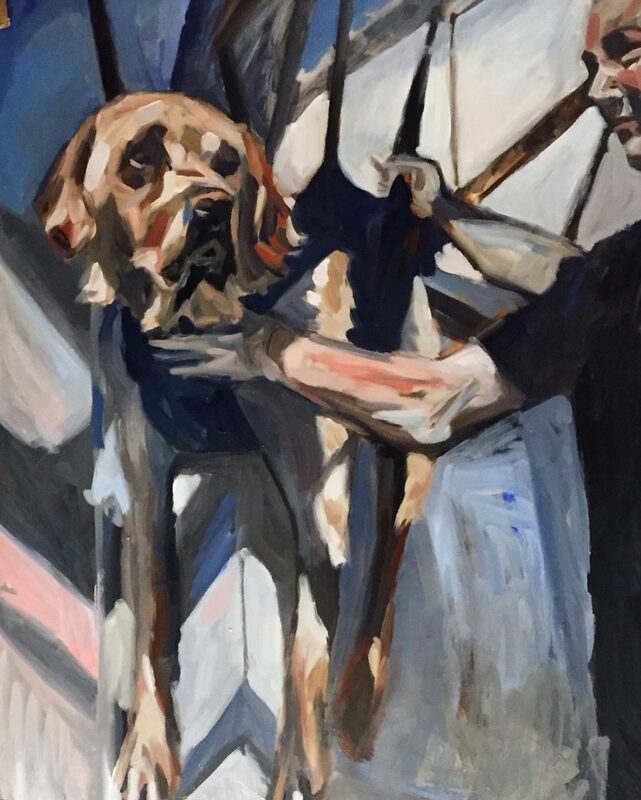 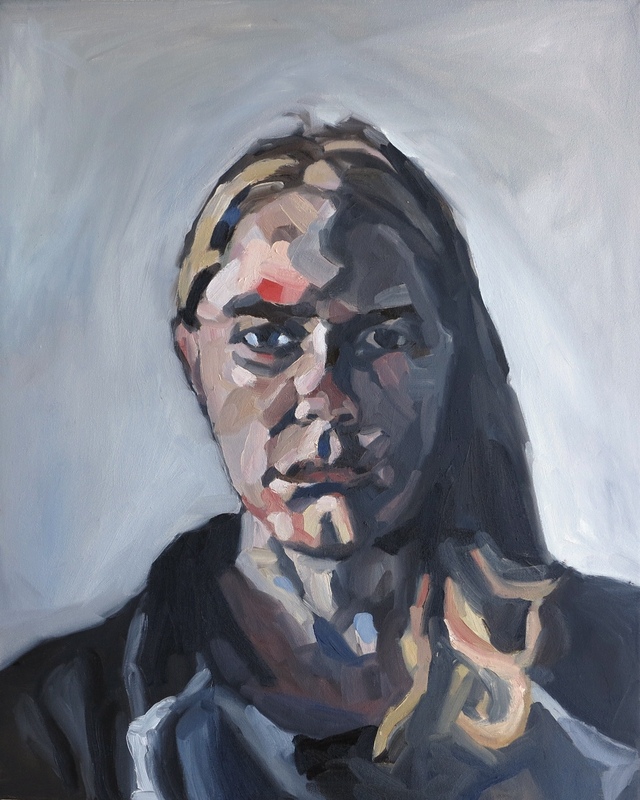 In 2015 he was the winner of the Muswellbrook Art Prize (Painting section), and received a highly commended award in the Hurford Hardwood Portrait Prize, judged by Fiona Lowry. 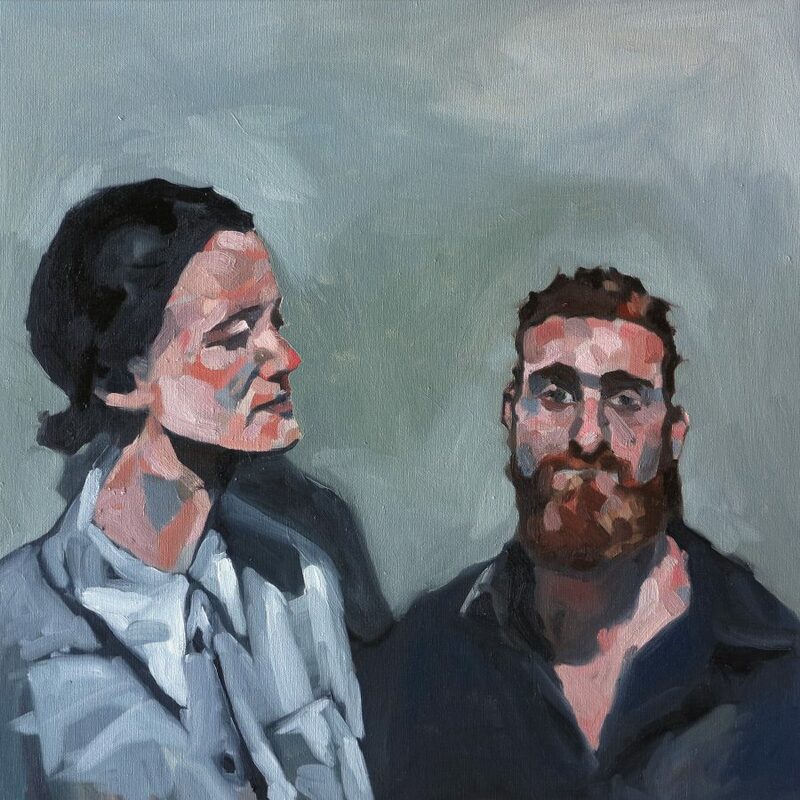 In 2016 he won the oil painting award at the Waverley Woolahra Art Prize. 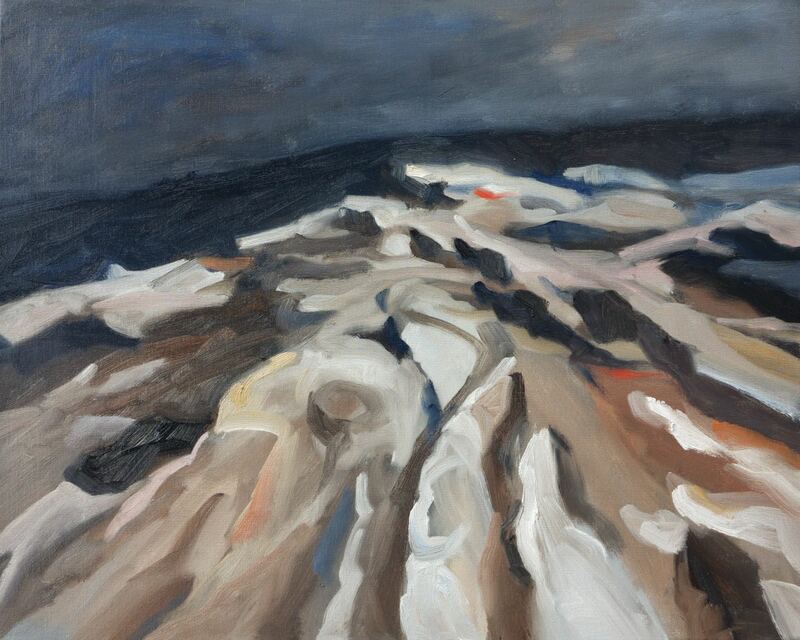 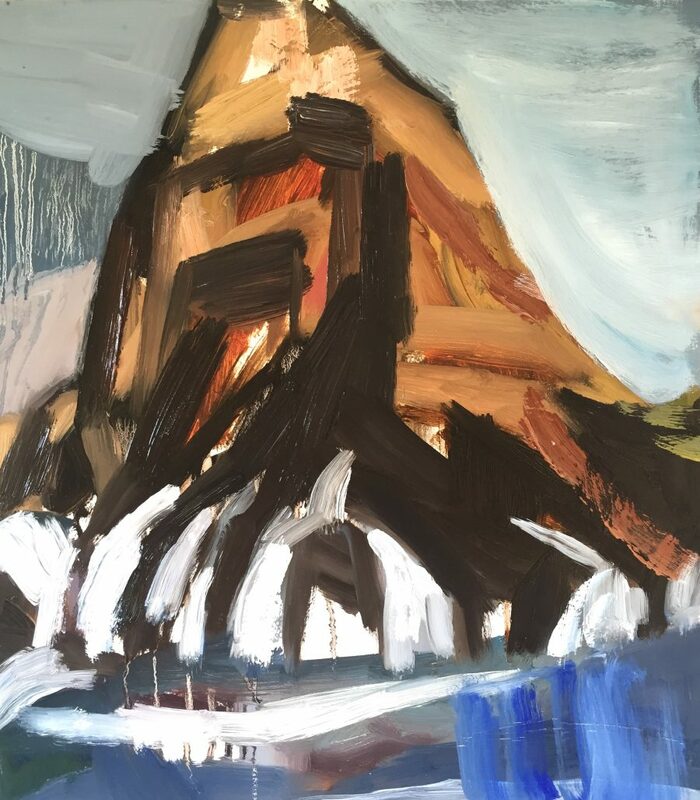 In his art making, Nick aims to explore themes of intimacy, the human condition and our turbulent relationship with the natural environment. 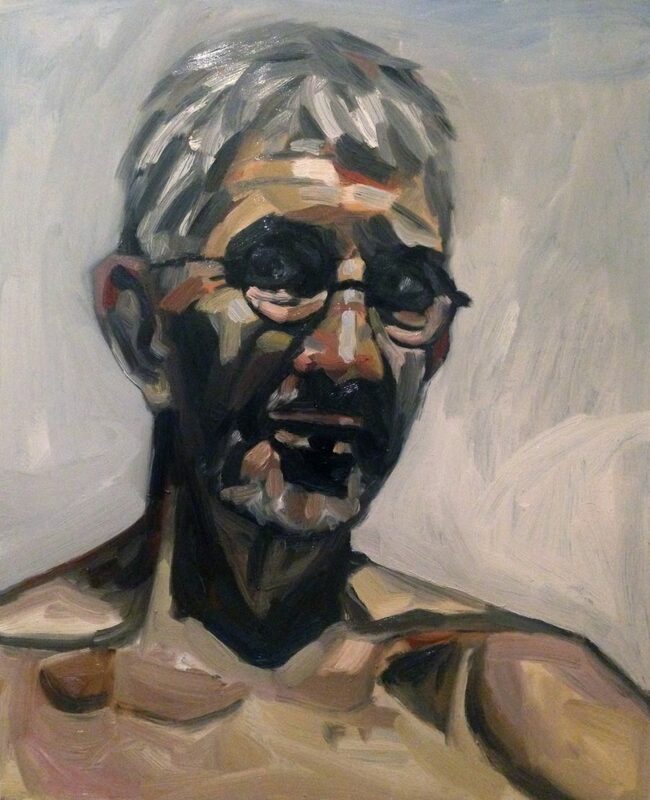 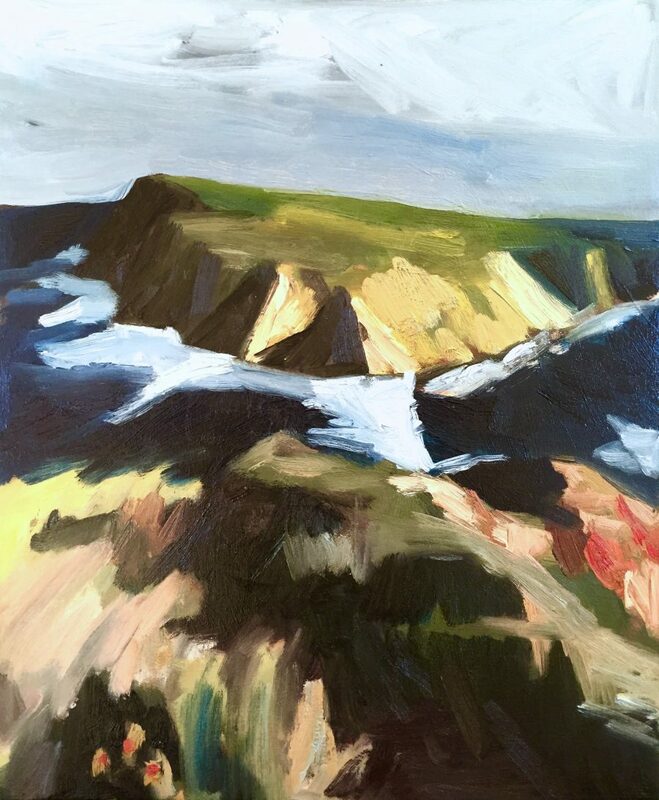 He also continues to paint portraits and complete commissions from life in his studio on the Central Coast. 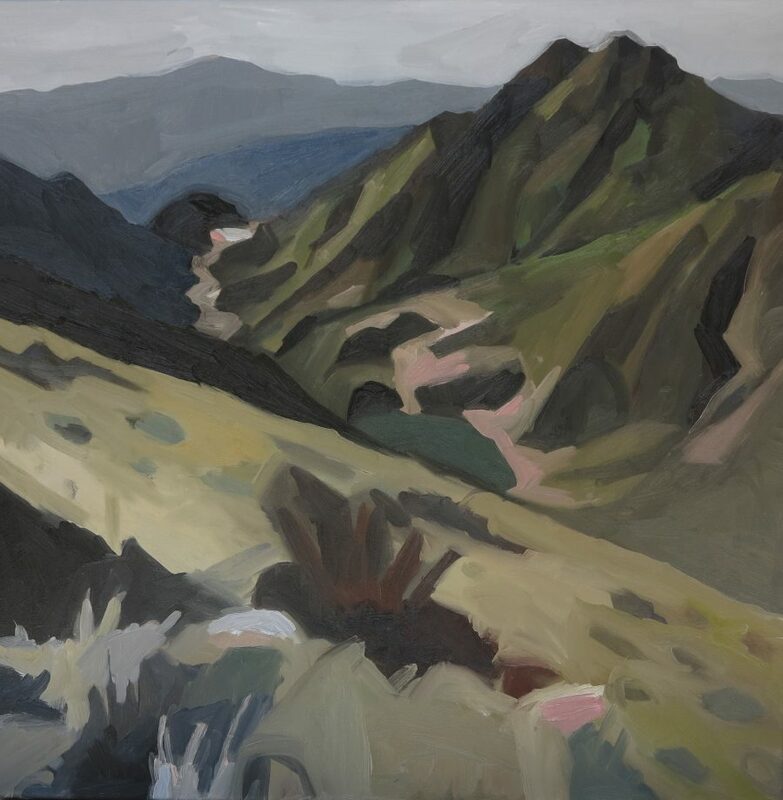 A medical doctor, his work to date explores concepts of nature and violence through observations of remote landscapes as well as studies of human vulnerability in an increasingly artificial world. 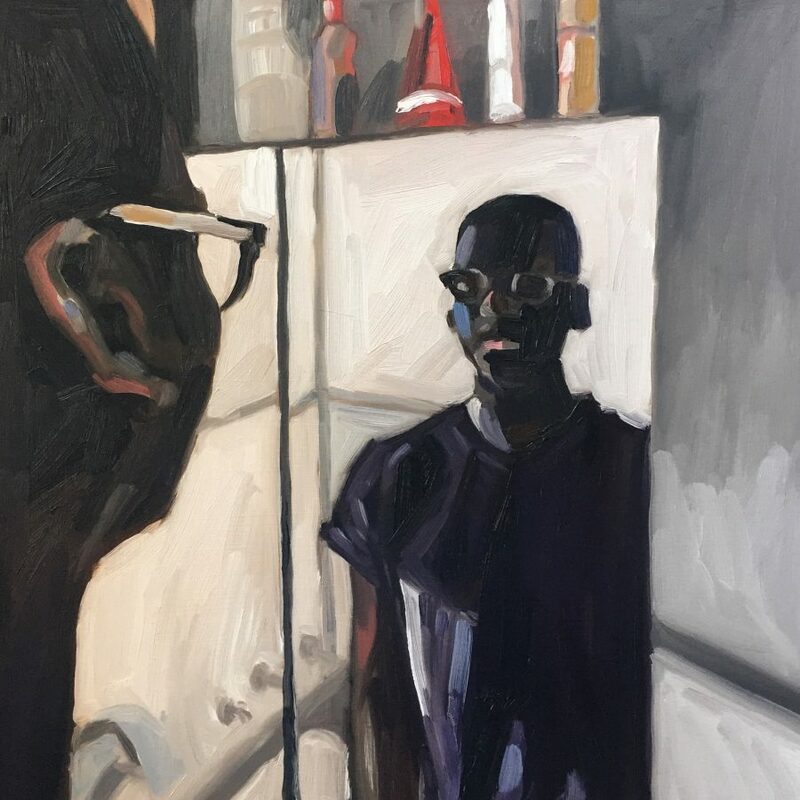 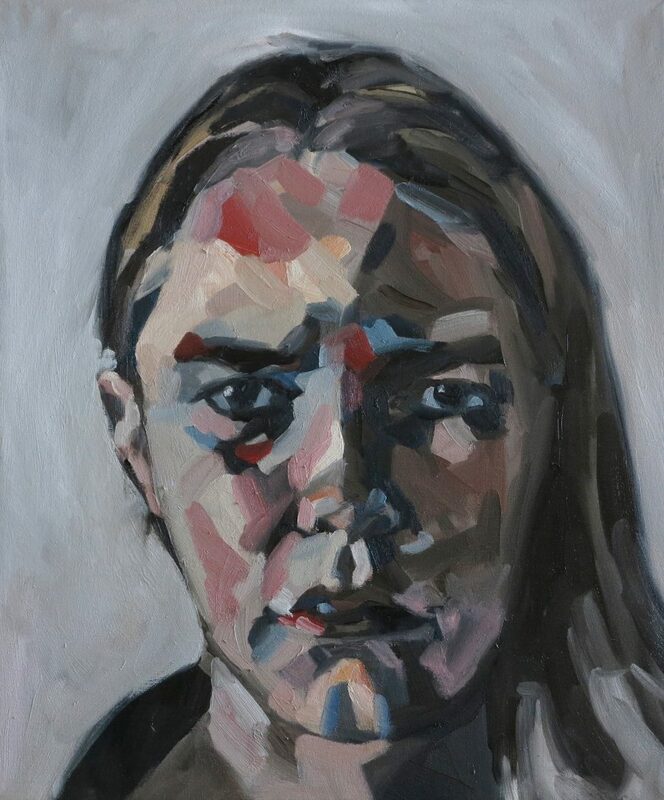 In regard to his winning portrait of the 2015 Muswellbrook Art Prize, judge Anne Ryan (Curator of Drawing and Prints at the Art Gallery of NSW) commented – “This is a painterly, highly charged portrait that offers psychological insight into its subject. 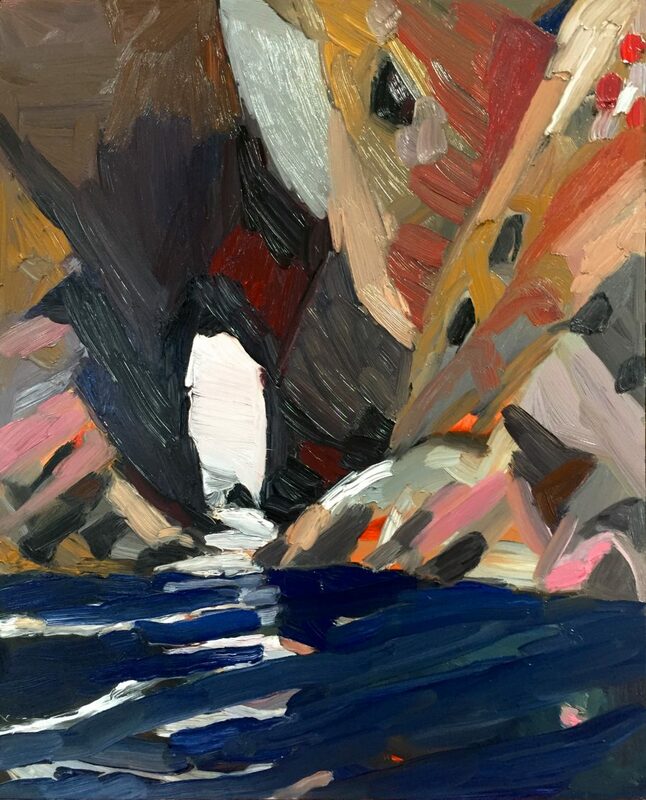 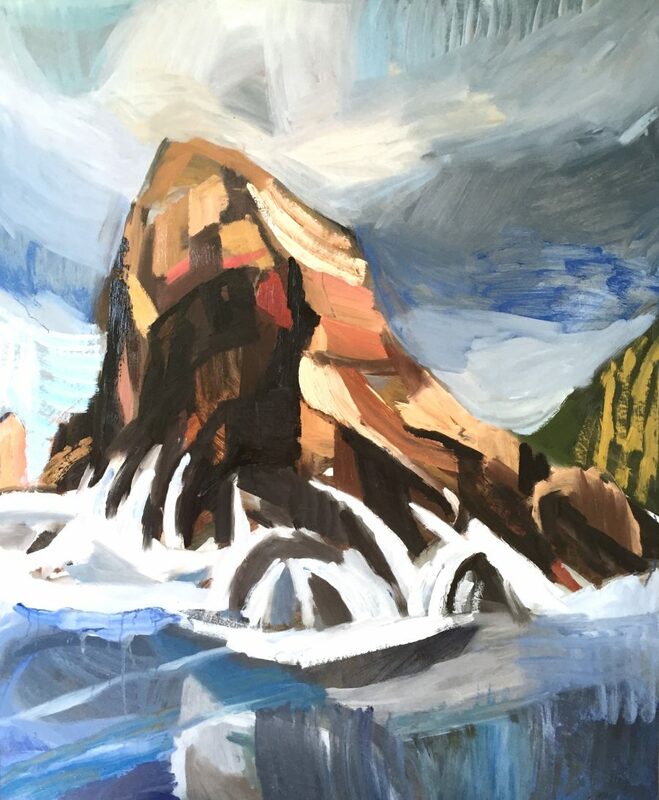 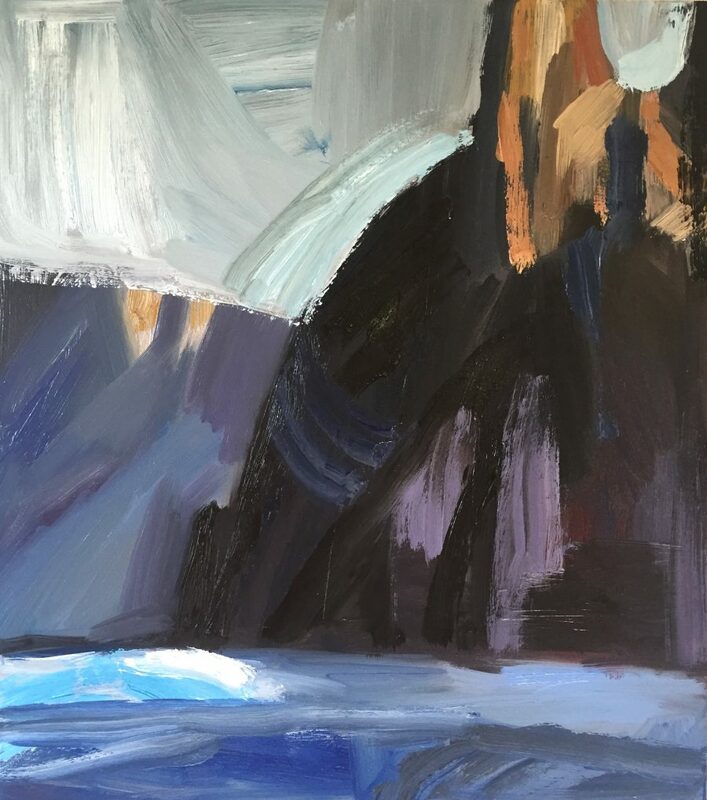 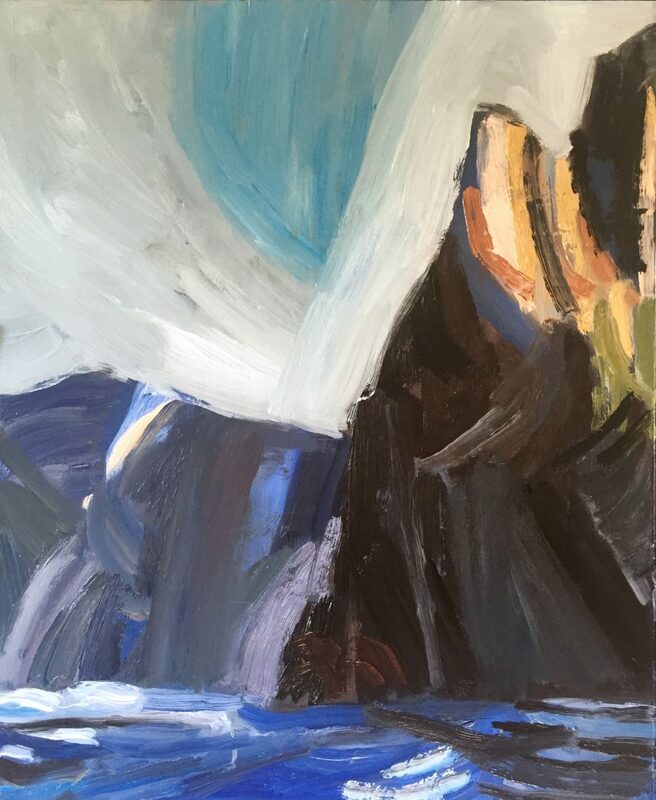 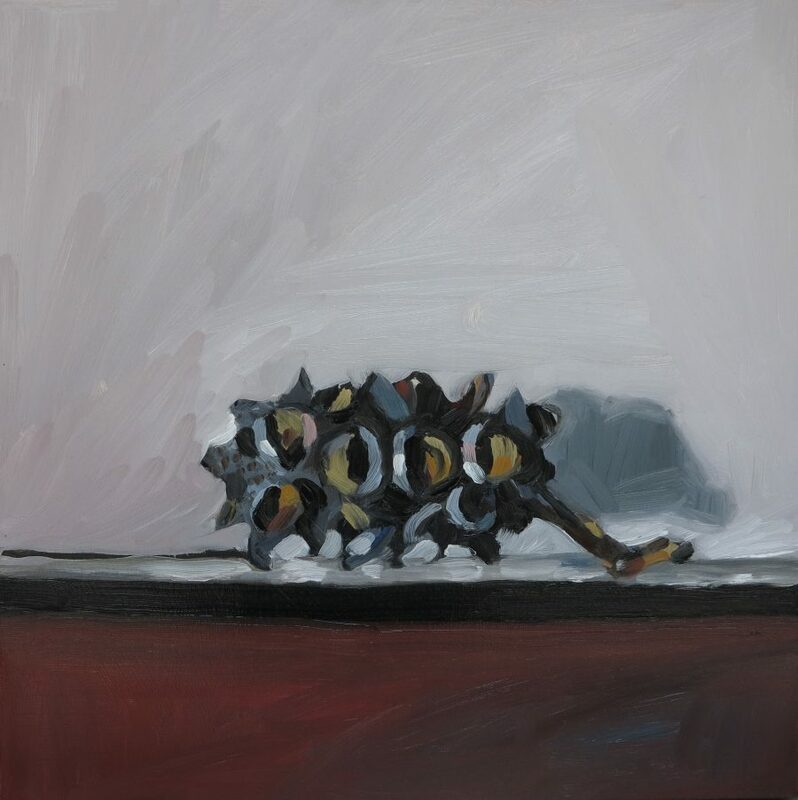 The handling of paint and form is intuitive and explorative; the viewer gets a sense of the artist’s search for form and resolution as the painting is built up in layers of paint and colour. 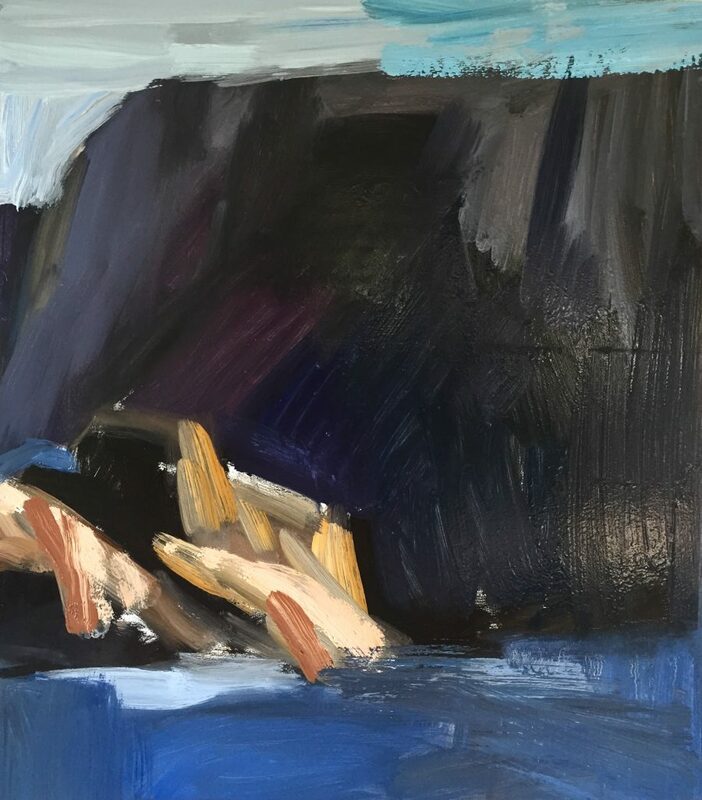 The subject’s downcast eyes and hands, poised in mid-air as if in the middle of some action, add a visual and psychological tension to the composition.